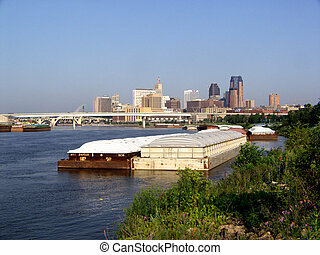 Barge on mississippi. 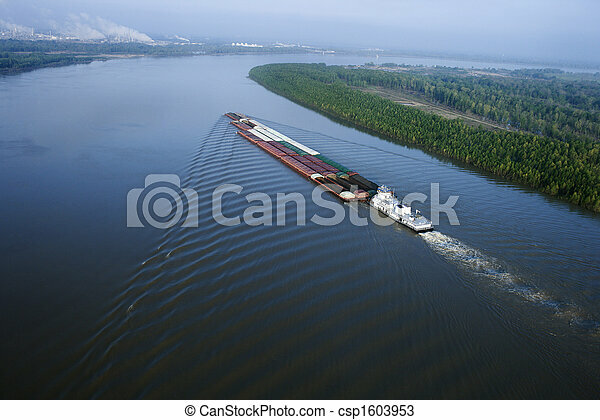 Aerial of barge on mississippi river in baton rouge, louisiana. 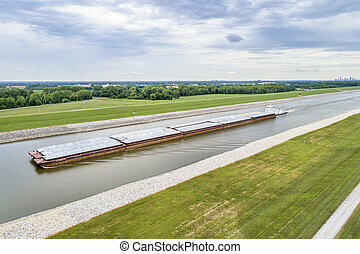 Aerial of barge on Mississippi River in Baton Rouge, Louisiana. 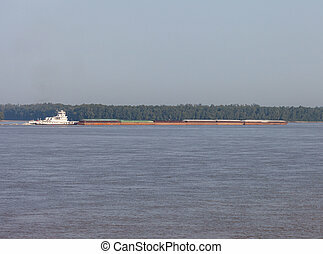 A tug boat pushes a barge on the Mississippi River at Memphis, Tennessee. 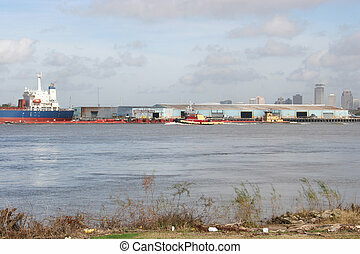 Commercial shipping on Mississippi River at New Orleans. 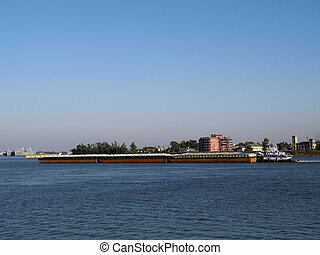 Barge and tug traffic beneath bridge. 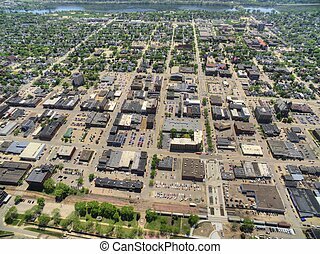 Copy space at top. 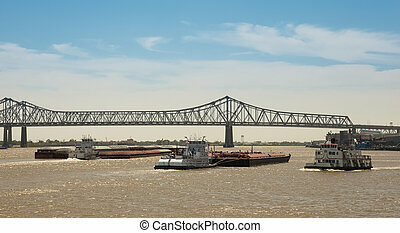 Barges being transported by a tug on the Mississippi River in N.O. 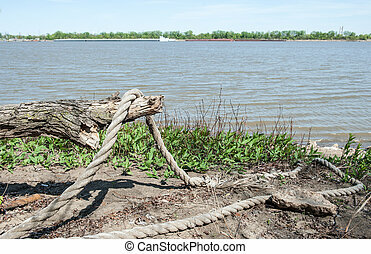 A thick, abandoned rope hangs over driftwood on the shores of the mighty Mississippi River as a barge goes by along the distant shore. 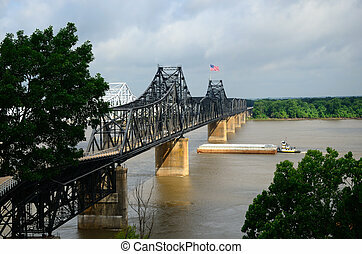 Old style overhead steel trestle railroad bridge with river barge on the river. 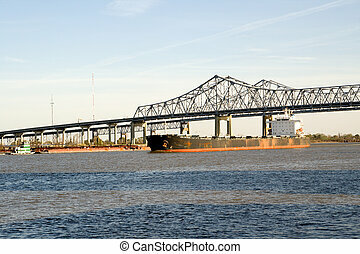 Mississippi River Bridge in Baton Rouge, USA. 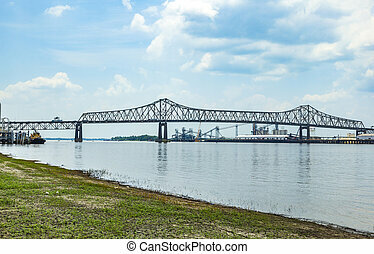 The Horace Wilkinson Bridge is a cantilever bridge carrying Interstate 10 in Louisiana across the Mississippi River. 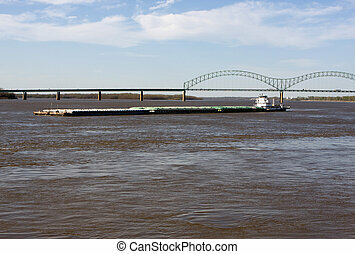 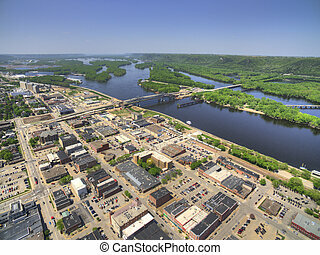 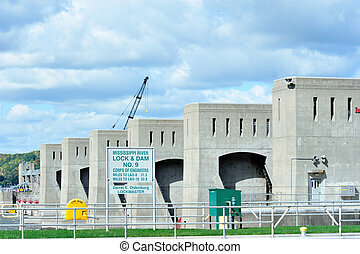 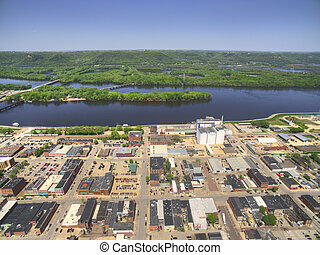 It is the highest bridge on the Missisippi River.